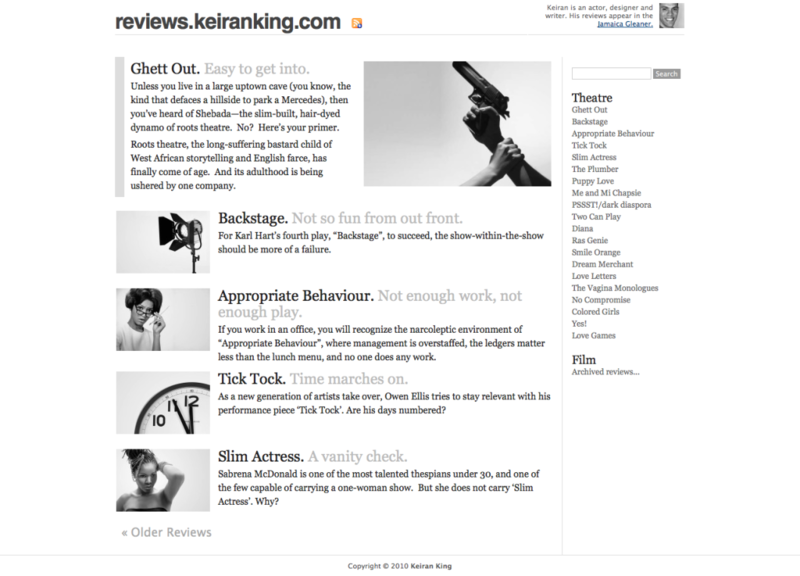 A critic whose reviews were appearing in a column in the leading print newspaper in Jamaica, needed a website to showcase his reviews of both film and theatre productions. With very clear design concepts, he needed someone to setup WordPress and customize to achieve his vision. This website involved significant CSS customization, custom post type configuration and plugin customizations. I worked closely with the author to meet his specifications regarding design and layout.